One Per Case: Hulk Smash! "Don't make me hungry. You won't like me when I'm hungry." Maybe Ed Norton's Banner didn't speak Portugese that well, but it was certainly a cheap laugh that made us all feel a little dirty for laughing at it. Bruce Banner and his big mean alter-ego, the Hulk are today's Ultimate. Bruce Banner is just your every day scientist. Works for the government, creates dangerous serums designed to create super humans. You know, no big deal. 15 years before the events of the first Ultimates, Bruce Banner was hired by none other than Nick Fury to recreate the super soldier serum. Banner eventually completes the serum that he thought was safe. Not wanting to risk not getting the credit for it, Banner injects the serum into himself. Naturally the serum wasn't perfect and turned him into the Hulk instead of a super soldier like Captain America. In the ensuing mayhem, Hulk injures Peter Parker's parents and destroys Chelsea Pier. After realizing what he's done, Banner subsequently reverts back to human form. To be re-instated to S. H. I. E. L. D., Banner had to undergo a long leave of absence and rigorous blood tests. After twelve weeks of not having any Hulk cells show up in his blood, he was re-instated. However, he was made second in charge, under Hank Pym. Captain America's body had been found frozen in the Arctic Ocean and Banner's job changed to extracting the super solder serum from Cap instead of recreating it. 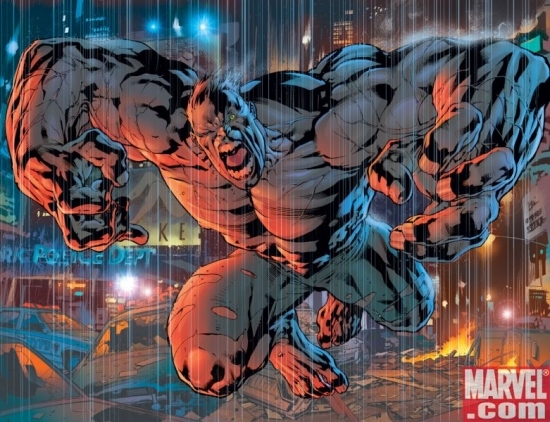 Mainstream Hulk's creation is notably different. Instead of being injected with a serum, Banner created a gamma bomb. While testing the bomb, a kid had driven onto the test field and Banner runs out to save him. Saving the kid, Banner gets caught in the blast, absorbing the gamma radiation. In both instances, Bruce Banner is a very intelligent man, a genius in every sense of the word. He's very sarcastic, but also quite mellow. Because of all the destruction he causes as the Hulk, he's also quite introverted and shy. As far as abilities go, Banner is intelligent, and the Hulk has incredible amounts of strength. He's also super fast, durable and has insane regeneration. 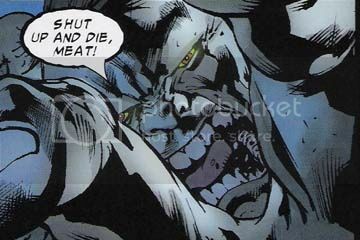 That's the Hulk in a great big green nutshell. Next time, Thor is coming under the microscope.